The collection Spring-summer 2012 of sunglasses is the result of a new collaboration between Diesel and Marcolin’s know-how and expertise of Marcolin, listed on the Milan stock exchange and one of the leading companies in the eyewear industry, which has just “turned off “the celebrations for his 50nario, merged with the creativity of the typical diesel. The line could only be impact and alternative rock chic with a hint, a collection that truly speaks the language of the brand is bold, it’s rock, is a status, is the vintage futuristic combined with high quality typical of Made in Italy. 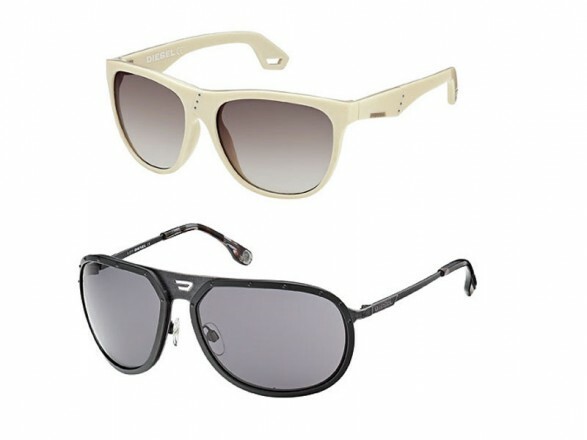 The collection consists of 10 models women, 7 men and 11 Unisex Sunglasses and offers iconic shapes, colors, military, contrasting with the opaque acetate transparencies, the fluorescent, hints at bikers and sports twist, graphics, and treated leather and iconic Mohican logo more prominently. The “launch” the official was held in Paris last Saturday, October 1st with a big private party with live performances of the group The Kills Hindi rocks in the presence of the corporate board of opinion leaders and celebs.